One great aspect of living in a university town, is living in one where the university is one of the most prestigious and definitely the most expensive in the country. This means there’s usually all sorts of things going on and lots of exciting sports. The facilities at the university are pretty impressive for the number of students, and the standard of matches is fairly high. 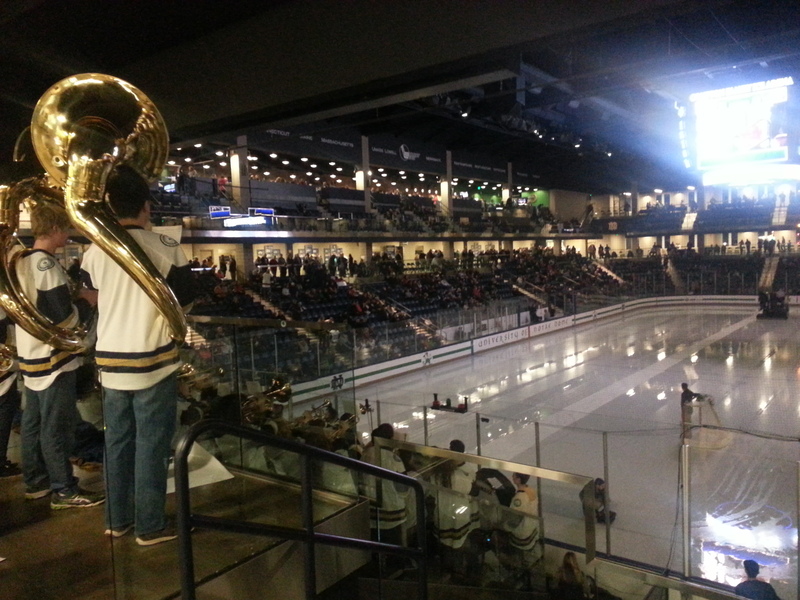 We went along to Compton ice arena and instead of ice skating watched a game of ice hockey! Neither of us had watched live ice hockey before at a proper venue, and it was certainly over the top and spectacular. There was a marching band – I’m beginning to think these are mandatory at all sports events. They gave lots of life in between random commentary and the game itself. 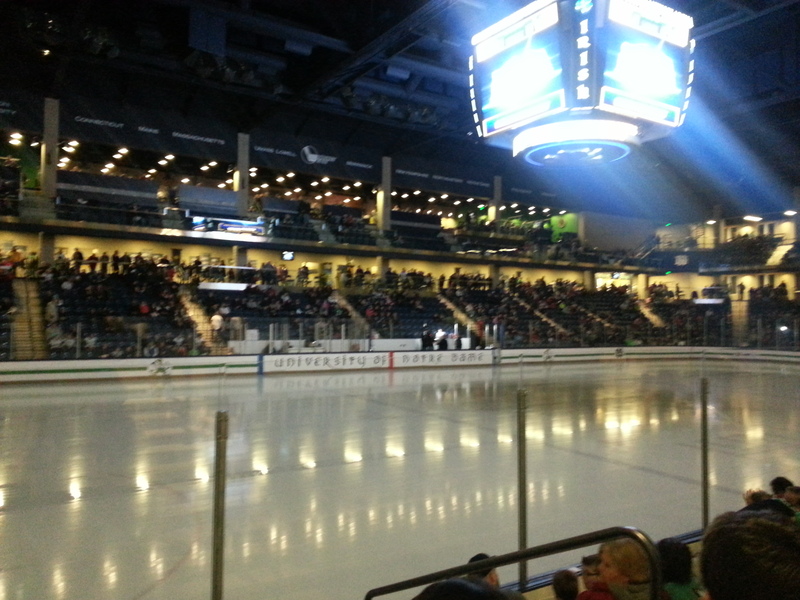 The fighting Irish were playing New Hampshire and both teams were pretty good. 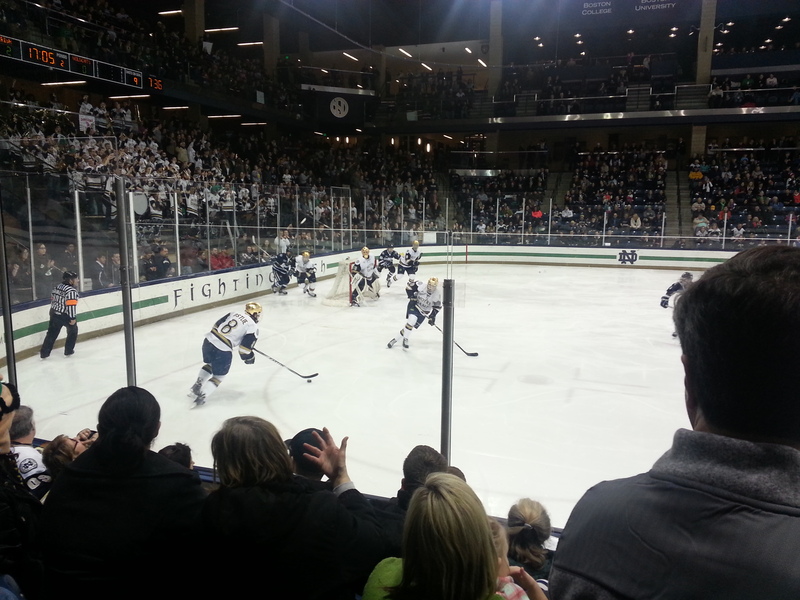 In the end the Irish took victory although New Hampshire looked the stronger team for the first two periods. Having played field hockey for many years it was interesting to watch, I may even give it a go and learn how to play on the ice. We also had a treat of some South Bend Chocolates and a pretzel, this time without the weird gloopy cheese and enjoyed watching the fast paced game and people bashing against the sides of the walls.